Canada is home to some of the most marvelous natural sights across the globe – and perhaps the most iconic is of course the Niagara Falls. No visit to Canada would be complete without visiting the most celebrated and well-known waterfalls across the globe, and you can definitely do it with luxury. 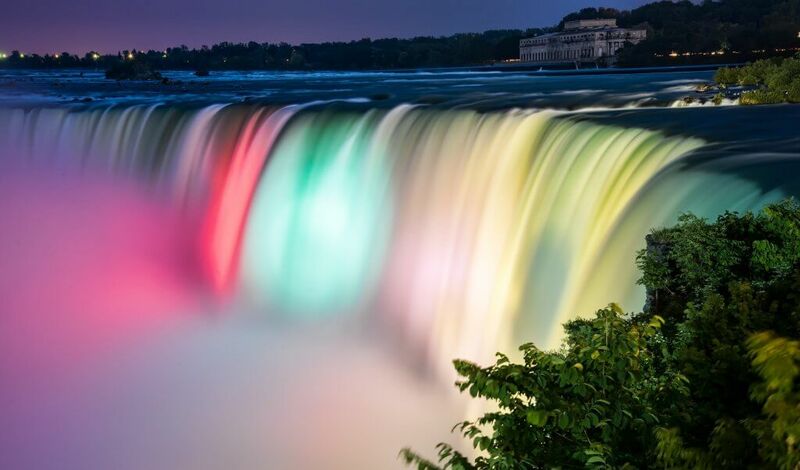 The Falls are situated on the borders between Canada and the US, but it is widely conceded that the Canadian part, which is home to the famous Horseshoe Falls that form part of the Niagara Falls, offers the most stunning vistas. So, it is no wonder that the area is also full of luxury hotels and restaurants from where you can admire the breathtaking scenery. For a truly luxurious meal, you can head over to the famous Skylon Tower, which stands out like a needle in the sky. The Yellow Bug elevator will take you up the 775-feet-high tower in under a minute – 52 seconds, to be exact. Here you can enjoy a fine dining meal at the Revolving Dining Room that quietly moves 360 degrees to let you admire the Falls from every perspective. If you’d like to spend the night, nothing screams luxury like Hilton, and luckily for us the Hilton Niagara Falls/Fallsview Hotel is proudly representing the luxurious hotel chain in the area. Book a room with a view to the Falls and spend the night gazing at them, or head over to the hotel’s casino for a bit of glamorous fun. After all, Canadians are well-known for their love of casino games as you can find out on this link to page, which lists the most popular online casino options for Canadian players. But there is so much more to Canada than Niagara Falls. After you have satisfied your curiosity, you are ready to explore the rest of the Great White North – did you know that Canada offers a great chance to see the Northern Lights? 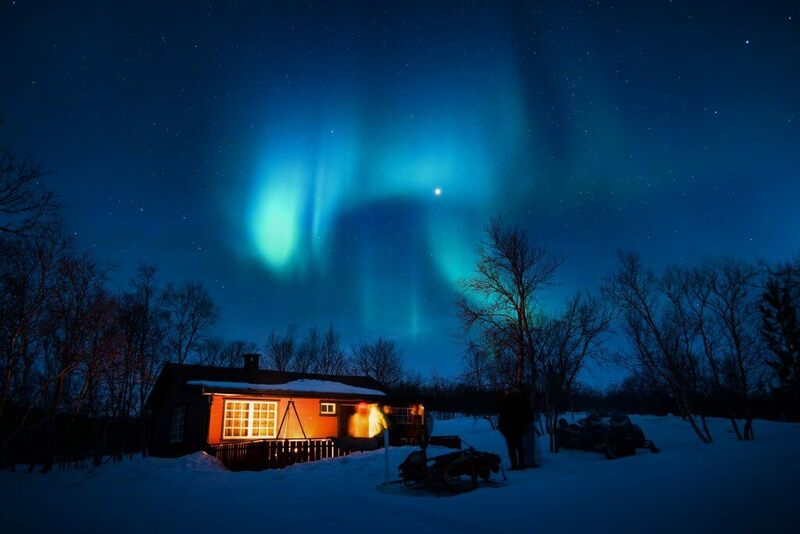 There are plenty of luxurious options to watch the Aurora Borealis, which is its Latin name, in comfort and far away from the light pollution of Canadian big cities. The Blachford Lake Lodge is one of the most amazing places to watch the lights dance in the winter sky, as you kick back in your private hot tub. If you associate luxury with the chance to experience something fleeting and unique, then Canada has an unmatched offer: A stay at a hotel made entirely of ice, that melts down every Spring and is rebuilt from scratch every winter. Just half an hour away from Quebec you will find the famous Hôtel de Glace, which invites you to the most luxurious igloo stay of your life. In 2018, the team behind the hotel used 30,000 tons of snow and 500 tons of ice to build its 45 rooms and luxury suites, with a circus theme and stunning ice sculptures decorating its halls. There is an ice bar, a sauna under the starry night sky, a chapel made of ice, and much more to discover. If you want to go the extra mile, get the premium deluxe arctic spa suite, complete with a fireplace and its own private spa. 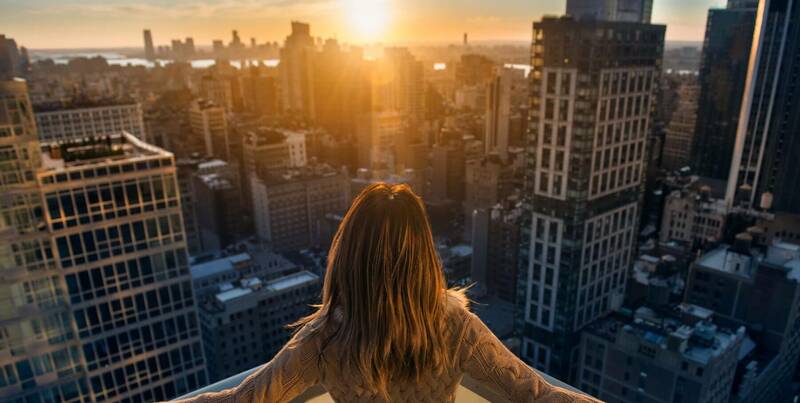 Canada is often overlooked when it comes to luxurious destinations – but in fact, it can offer a lush traveling experience you will never forget.